Maxitrol's 325-L Series line pressure regulators are for 2 psi piping systems. 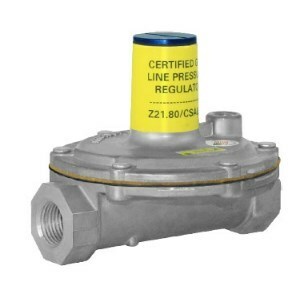 325 Series regulators are for use on residential, commercial, and industrial applications. The 325 Series features a high leverage linkage assembly to deliver positive dead-end lock-up. The regulators are capable of precise regulating control from full flow down to pilot flow. 325 Series regulators are for 2 psi and 5 psi piping systems. Models available for appliance main burner or pilot applications and as line pressure regulators.